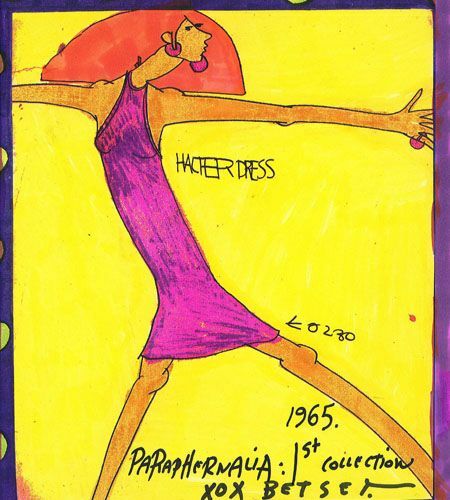 Betsey Johnson sketch for Paraphernalia, 1965. Image: CFDA / Pinterest. Betsey Johnson turns 75 today. 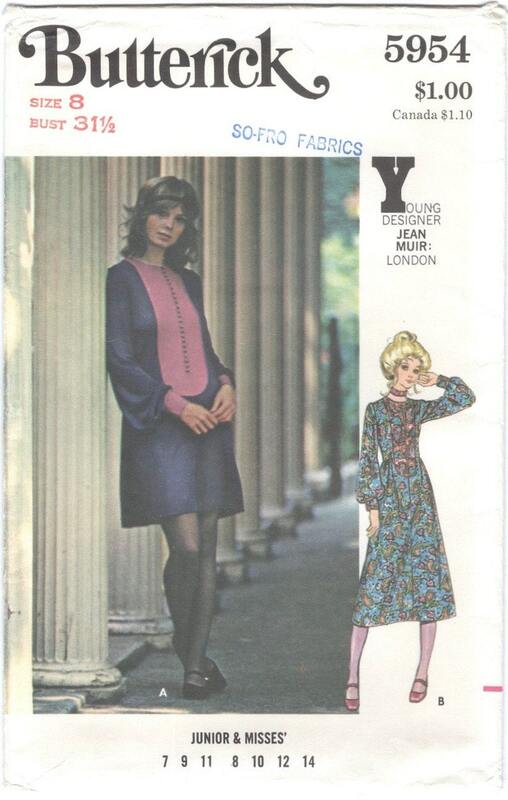 Four decades on, the designer’s 1970s Butterick patterns are still very popular. Here’s a look at Johnson’s early work, with an emphasis on more seldom seen archival images. Models wear Betsey Johnson neon satin dresses in Piper’s Alley, Chicago. Life magazine, November 11, 1966. 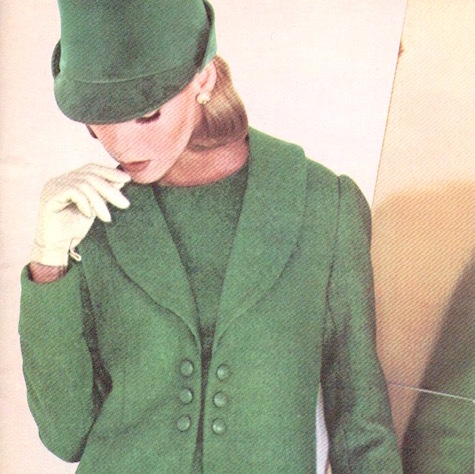 Photo: Howell Conant. Image: LIFE archive. Juggling in a Betsey Johnson mini dress in front of Steel Pier’s mystery ride, Atlantic City. Life magazine, May 24, 1968. Photo: Richard Davis. Image: LIFE archive. In 1971, Johnson won a Coty Award for her work at Alley Cat (see the New York Times notice). 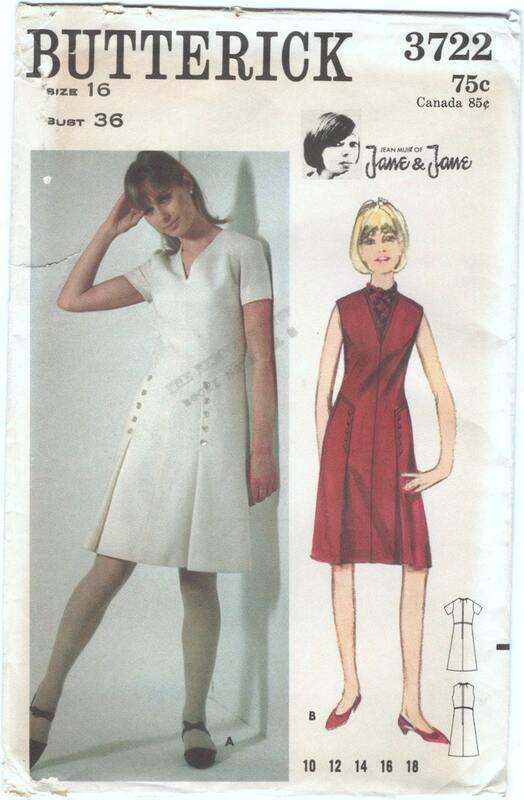 The following year, Butterick launched its Betsey Johnson patterns in the Spring 1972 catalogue. 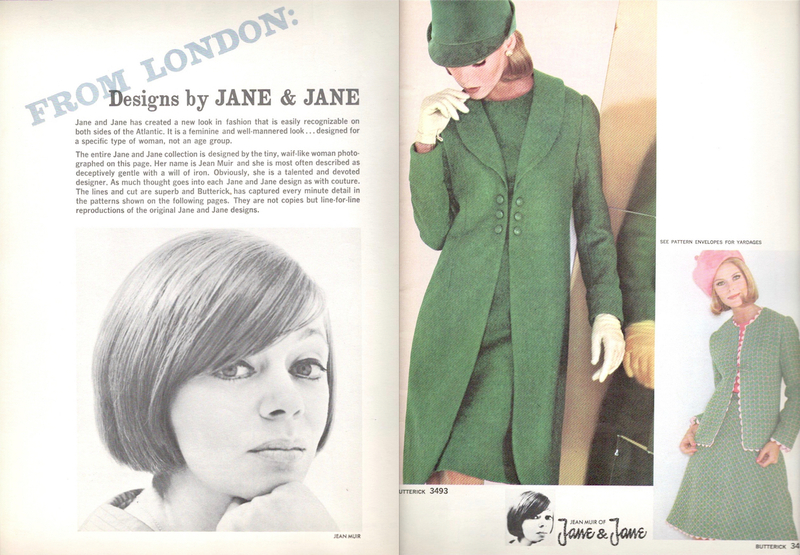 The designs were also cross-promoted (along with Cyrus Clark cotton chintz) with a Barbara Bordnick editorial in Seventeen magazine. 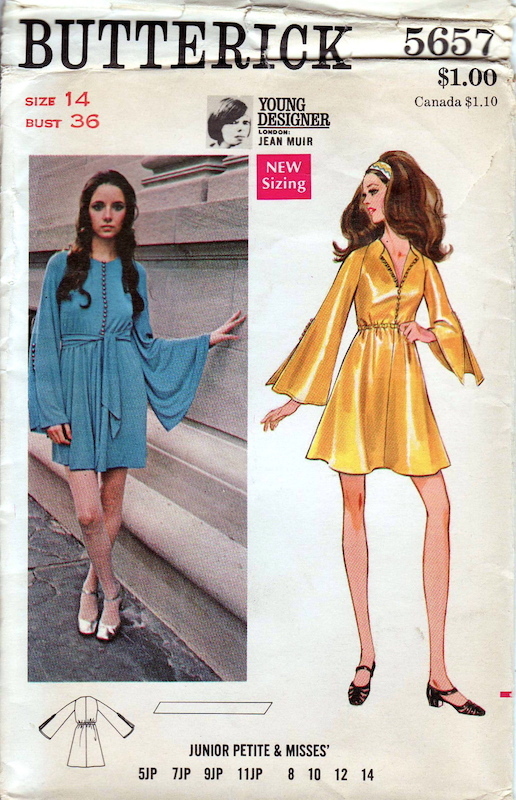 Butterick 6530 by Betsey Johnson of Alley Cat, Butterick Home Catalog, Spring 1972. Model: Sunny Redmond. Butterick 6533 by Betsey Johnson in “The Betsey Girl,” Seventeen, January 1972. Photo: Barbara Bordnick. Image: Gold Country Girls. 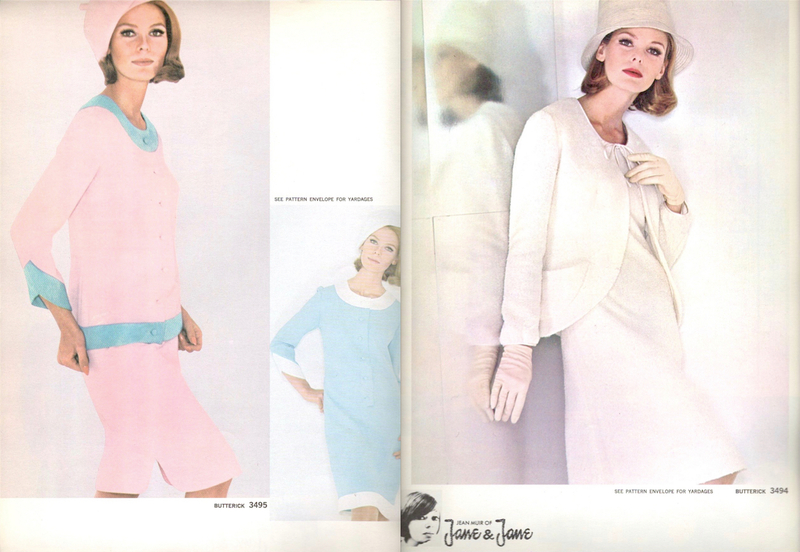 Butterick 6530 by Betsey Johnson in Seventeen, January 1972. Photo: Barbara Bordnick. Image: Gold Country Girls. 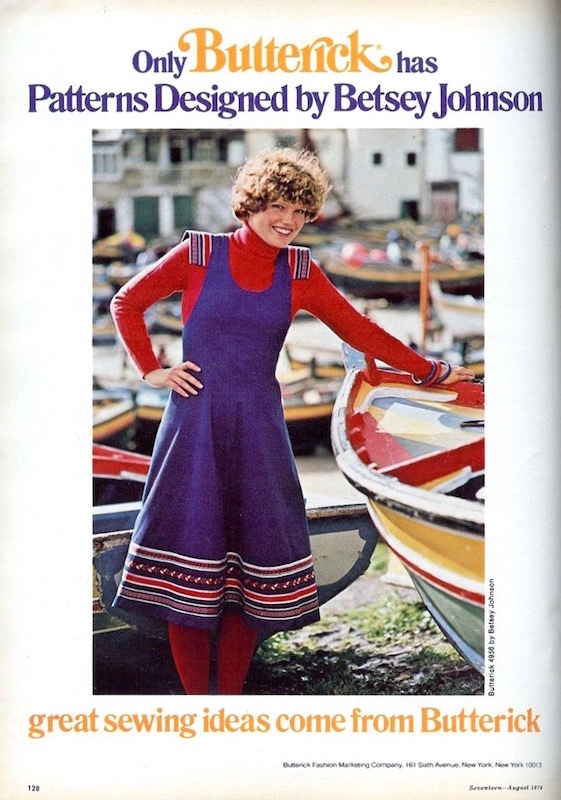 Butterick 6535 by Betsey Johnson in Seventeen, January 1972. Photo: Barbara Bordnick. Image: Gold Country Girls. 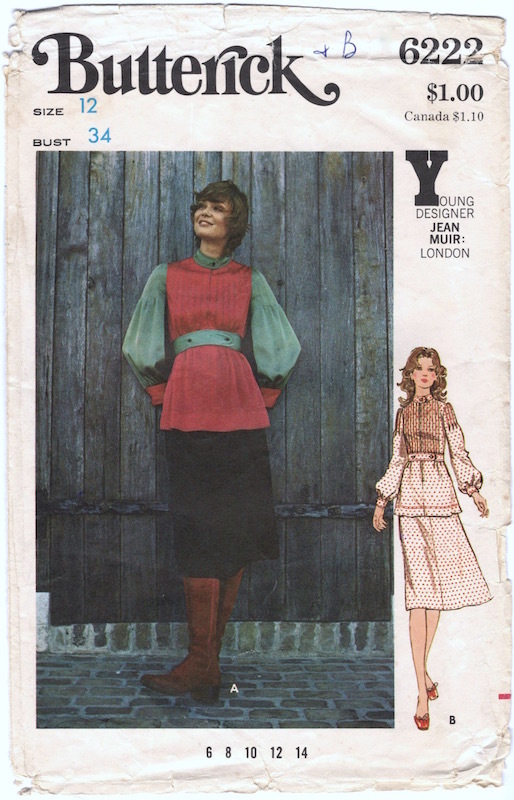 Butterick 6532 by Betsey Johnson in Seventeen, January 1972. Photo: Barbara Bordnick. Image: Gold Country Girls. 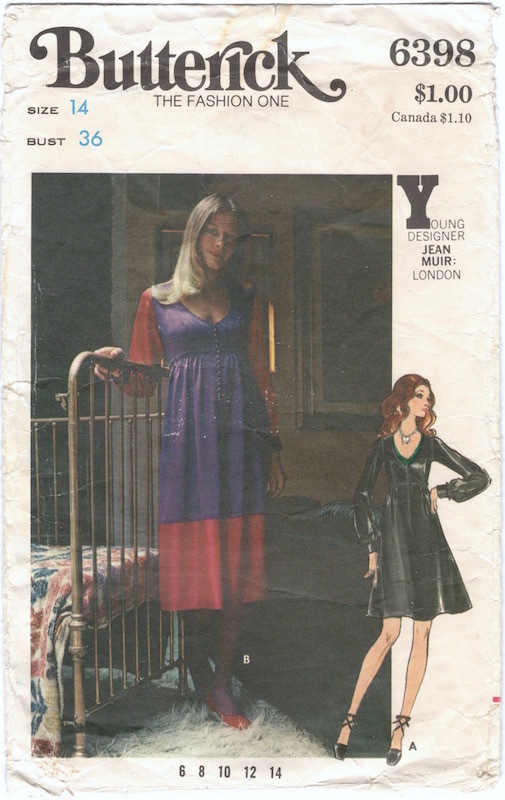 Butterick 6979 by Betsey Johnson of Alley Cat, Butterick Fashion News, March 1973. Image: eBay. Patti Hansen in Alley Cat by Betsey Johnson, Glamour, December 1973. Photo: Rico Puhlmann. Image: Getty. 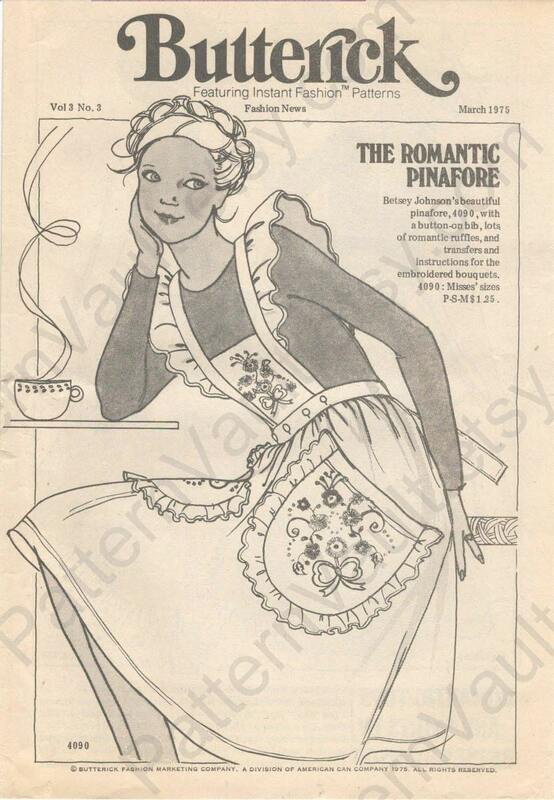 The Romantic Pinafore: Butterick 4090 by Betsey Johnson of Alley Cat, Butterick Fashion News, March 1975. Image: PatternVault on Etsy. 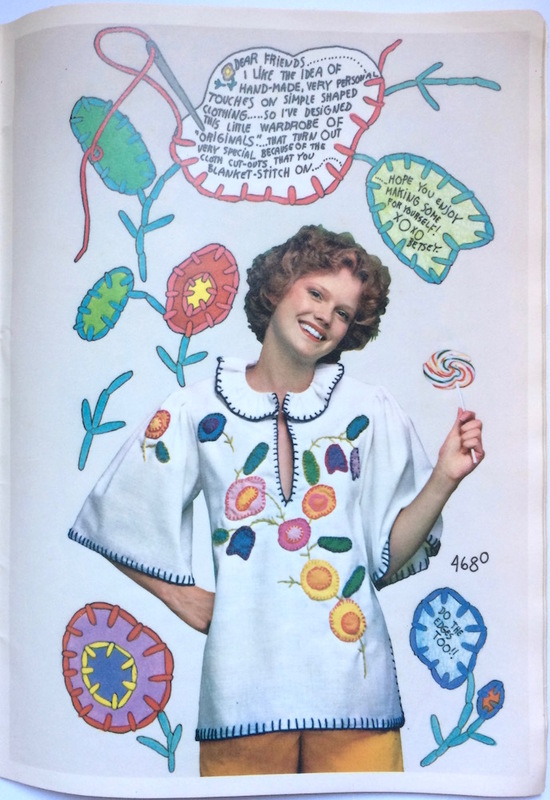 Butterick 4090 by Betsey Johnson of Alley Cat, Butterick Home Catalog, Spring 1975. Image: eBay. 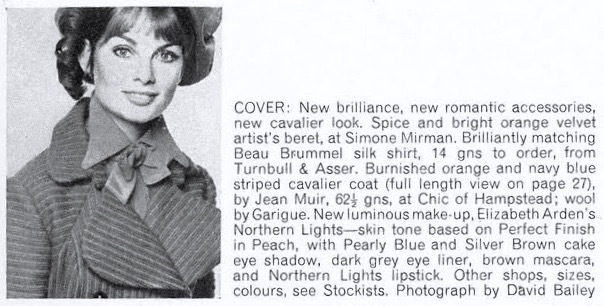 Butterick Betsey Johnson ad in Seventeen, February 1975. Image: Carmen and Ginger. Butterick ad for Betsey Johnson patterns in Seventeen, 1976. Image: Gold County Girls. 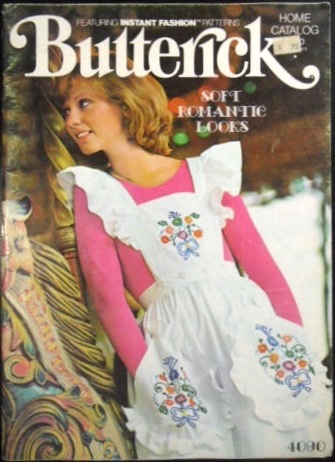 Butterick 4680 by Betsey Johnson, Butterick Home Catalog, Spring 1976. 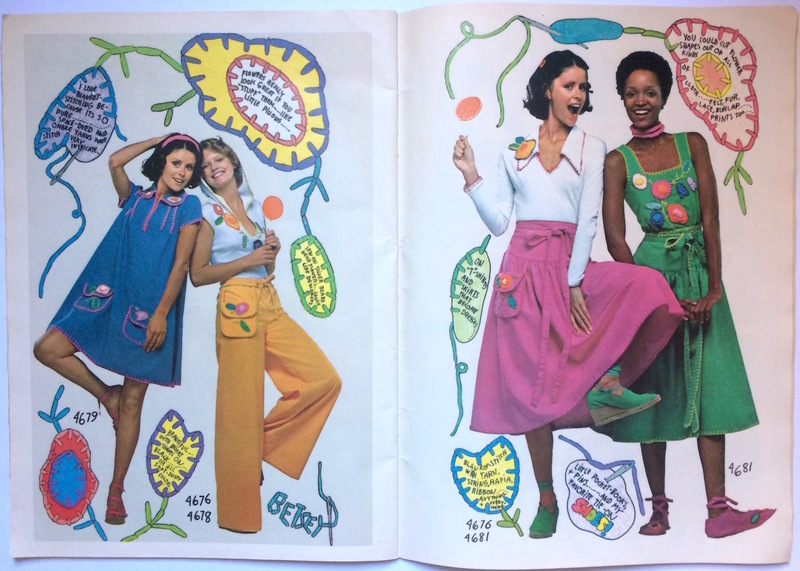 Betsey Johnson patterns in the Butterick Home Catalog, Spring 1976. 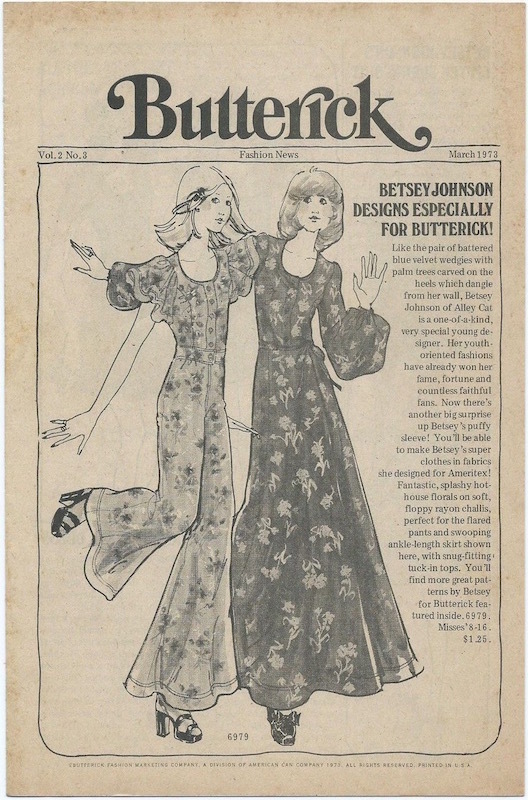 Butterick ad for Betsey Johnson patterns in Seventeen, August 1976. Image: Pinterest. 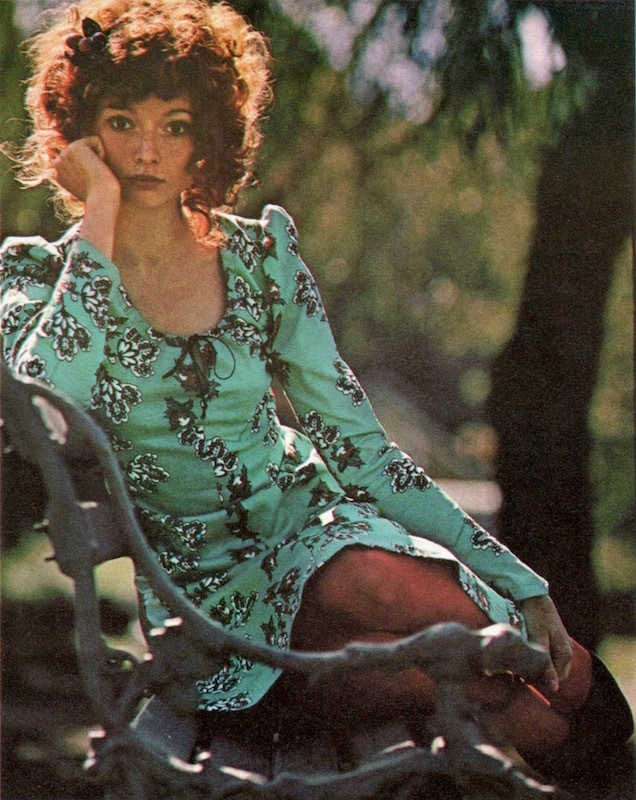 Cotton ad featuring Alley Cat by Betsey Johnson in Seventeen, August 1973. Models: Sunny Redmond, Betsey Johnson. Image: FinnFemme. With thanks to Heidi at Gold Country Girls. 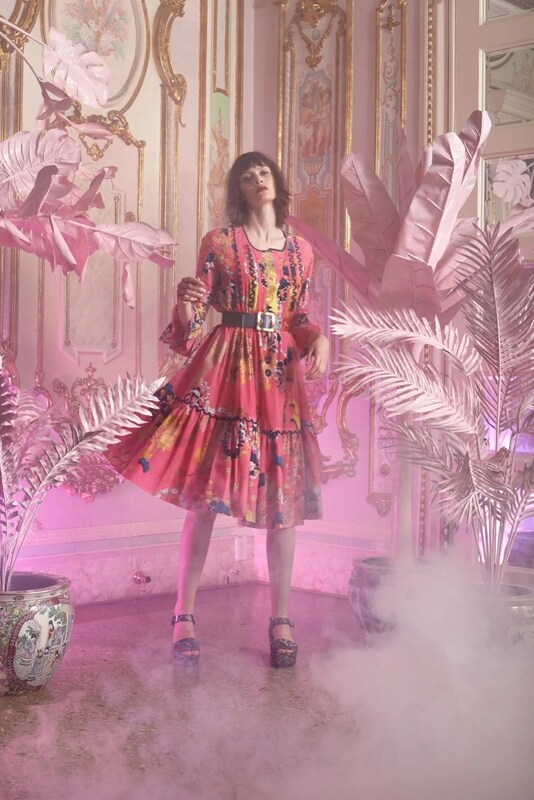 Cynthia Rowley Resort 2016. Photo: William Eadon. Image: Vogue.com. Have you seen the new Fall patterns? I post the designer photos to the @PatternVault Twitter. From now on, they’ll also have a more permanent home here on the blog. Simplicity’s latest Cynthia Rowley pattern came out after the Summer 2017 release and branded for the company’s 90th anniversary celebrations. 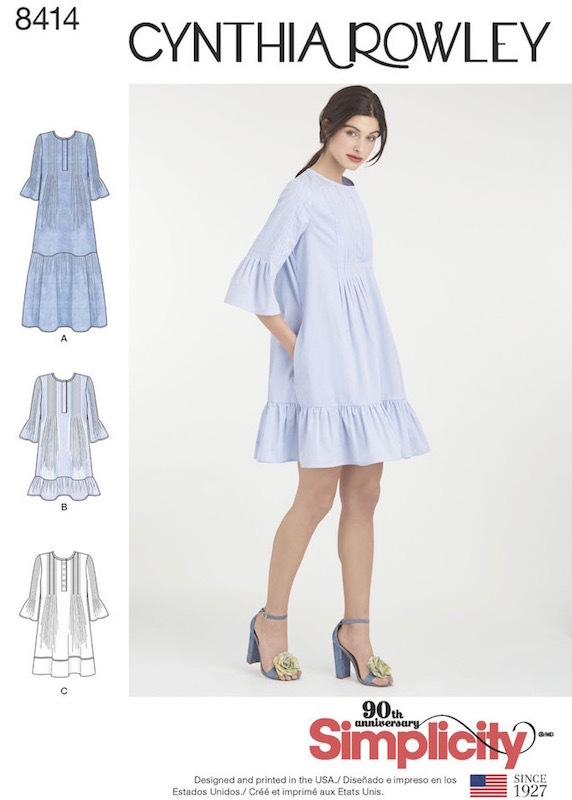 The pintuck ruffle dress was seen in short and maxi lengths in Rowley’s Resort 2016 collection. Simplicity 8414 by Cynthia Rowley (2017) Pintuck ruffle dress. Image: Simplicity. The setting for William Eadon’s photos might look familiar from The Royal Tenenbaums: the grand staircase of Brooklyn’s Grand Prospect Hall was the location where Margot went out for ice cream. Vogue’s new Guy Laroche pattern is an off-the-shoulder dress from the Spring 2016 collection, Adam Andrascik’s second for the house. Vogue 1559 by Adam Andrascik for Guy Laroche (2017) Image: McCall’s. 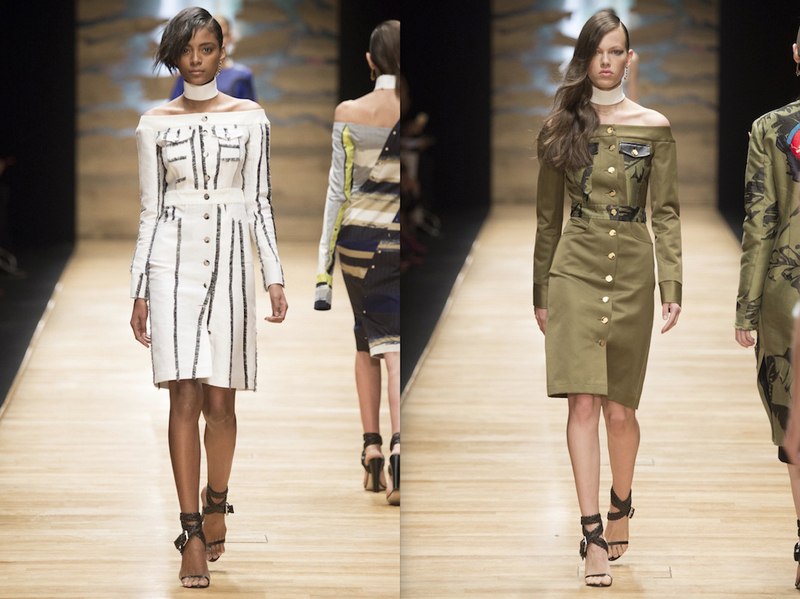 Guy Laroche Spring 2016 collection. Photos: Yannis Vlamos. Images: Vogue.com. 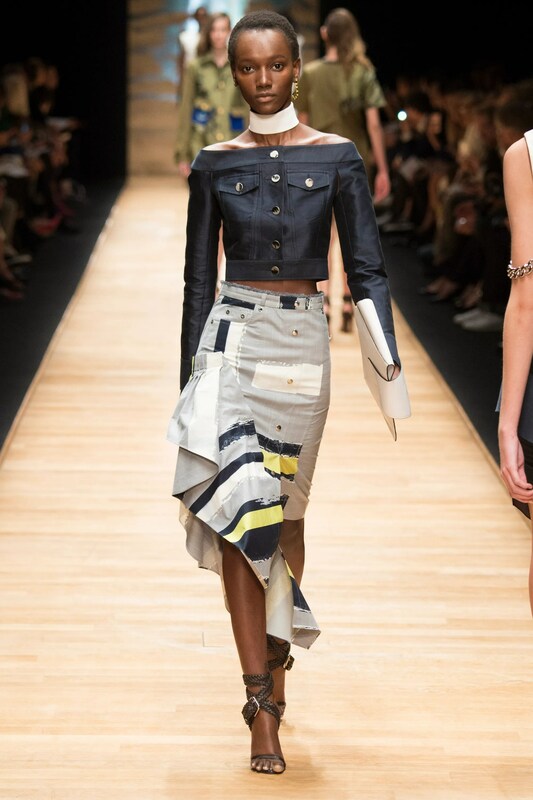 Guy Laroche Spring 2016 collection. Photo: Yannis Vlamos. Image: Vogue.com. Rachel Comey’s Karloff coat (V1563), Vogue Patterns lookbook, Fall 2017. Image: Issuu. Vogue 1563 by Rachel Comey (2017) Karloff coat. Image: McCall’s. Rachel Comey’s Karloff coat, Fall 2014 collection. Photo: Gus Powell. Image: Vogue.com. Two of the Comey patterns are from the Fall 2016 collection—which will be familiar to those of you who follow Anne at Pretty Grievances. V1556 is a raw-hemmed, sleeveless dress shown worn as a jumper. 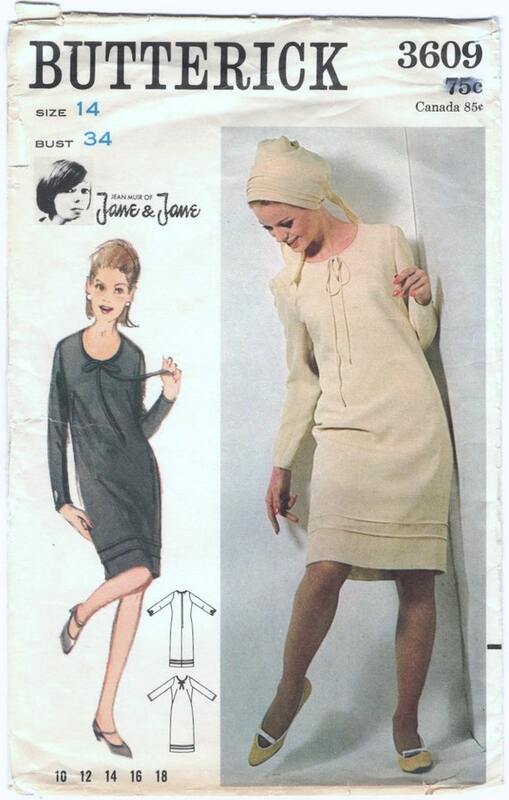 With sleeves it becomes the Cumberland dress. Vogue 1556 by Rachel Comey (2017) Sleeveless dress and belt. Image: McCall’s. Rachel Comey Fall 2016. Image: Vogue.com. Rachel Comey’s Cumberland dress (Pre-Fall 2016) via The Frankie Shop. Image: Instagram. The pleated, bishop-sleeved Bartram dress is pure sewist bait in silk jersey. Vogue 1558 by Rachel Comey (2017) Bartram dress. Image: McCall’s. V1558 by Rachel Comey on the cover of Vogue Patterns, October/November 2017, and Sew Today, October 2017. 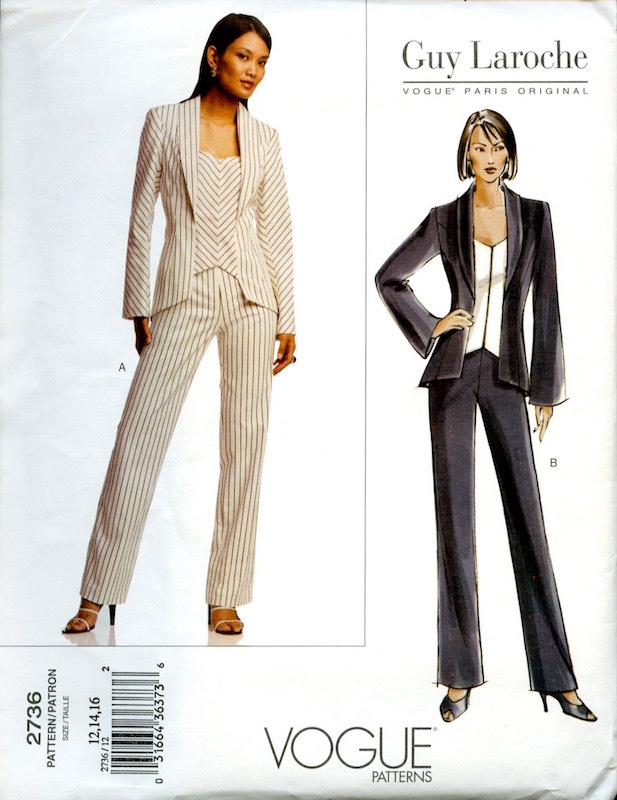 Images: McCall’s, sewdirect. Rachel Comey’s Bartram dress, Fall 2016. Image: Instagram. Update on shopping local: Thanks to everyone who’s provided me with updated information about designer royalties from pattern sales. Since publishing this post, I’ve learned that Simplicity pays royalties to all licensed designers, including on web sales. For other brands: if you would like to know whether royalties are being paid for online sales of designer patterns, you could contact the companies directly for more information. Guy Laroche dress (V1559) in Vogue Italia Suggestions, May 2016. Photo: Greg Lotus. Editor: Valentina Serra. Image: The Fashion Spot. Tim Blanks, The World of Anna Sui (Abrams, 2017). Image: Abrams. The World of Anna Sui opened at the Fashion and Textile Museum in London last weekend. It’s the museum’s first retrospective on a living American designer, with an accompanying book by Tim Blanks—out today from Abrams. Image: Joshua Jordan / Fashion and Textile Museum. Vogue Patterns introduces Anna Sui for Vogue Attitudes: Vogue Patterns catalogue, September 1995. Image: eBay. Vogue 2551 by Anna Sui (2001) Image: PatternVault shop. Faux Mongolian lamb coat by Anna Sui, Harper’s Bazaar, August 1995. Photo: Peter Lindbergh. Kirsty Hume wears Anna Sui in Vogue, September 1995. Photo: Arthur Elgort. 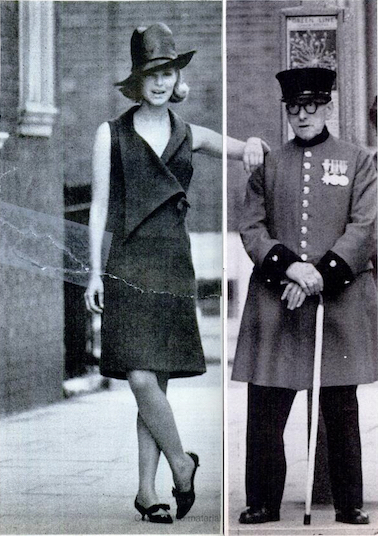 Editor: Grace Coddington. Karen Elson in Anna Sui, Vogue, June 2003. Photo: Tim Walker. Editor: Grace Coddington. Image: Vogue.com. 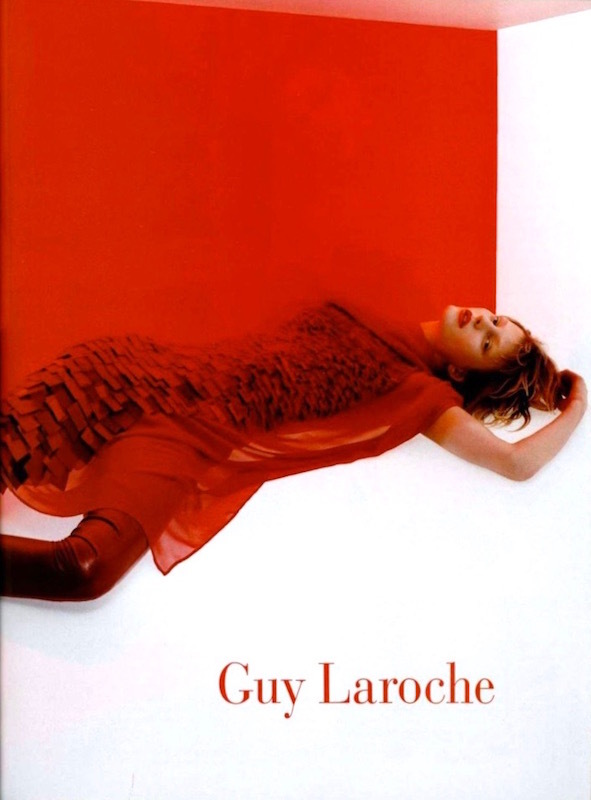 Guy Laroche advertising campaign, Fall 2001. Word is Guy Laroche patterns are set to return after a two-year hiatus. (The last Laroche, and last Paris Original, to be released was V1450 in Summer, 2015.) In anticipation, my ongoing Laroche series resumes with a look at the early 2000s designs of Mei Xiao Zhou. Zhou designed two collections for Laroche, both presented in 2001. 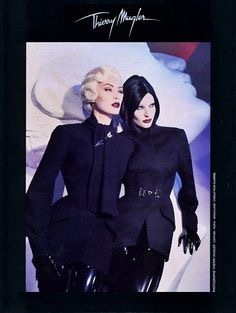 Guy Laroche Fall 2001 collection by Mei Xiao Zhou in L’Officiel 1000 modèles. Image: jalougallery.com. 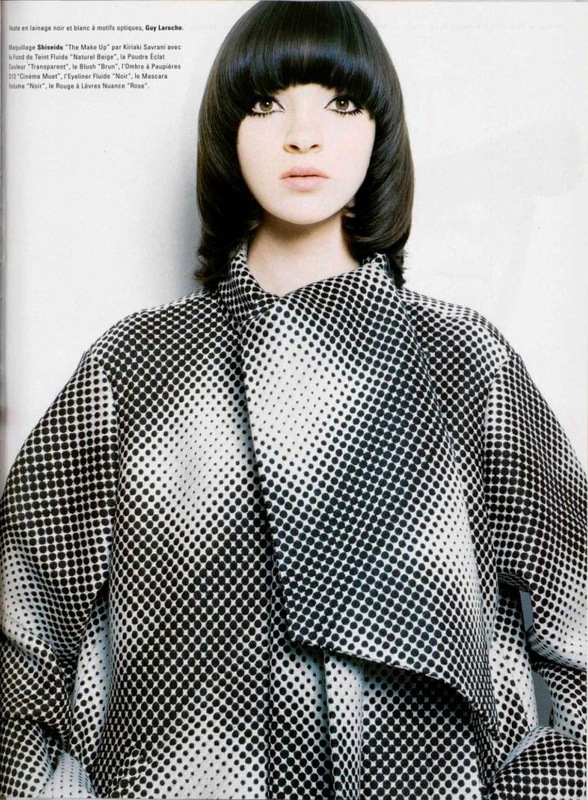 Vogue 2650 by Mei Xiao Zhou for Guy Laroche (2002) Image: PatternVault shop. Guy Laroche Fall 2001 runway. Images: firstVIEW. 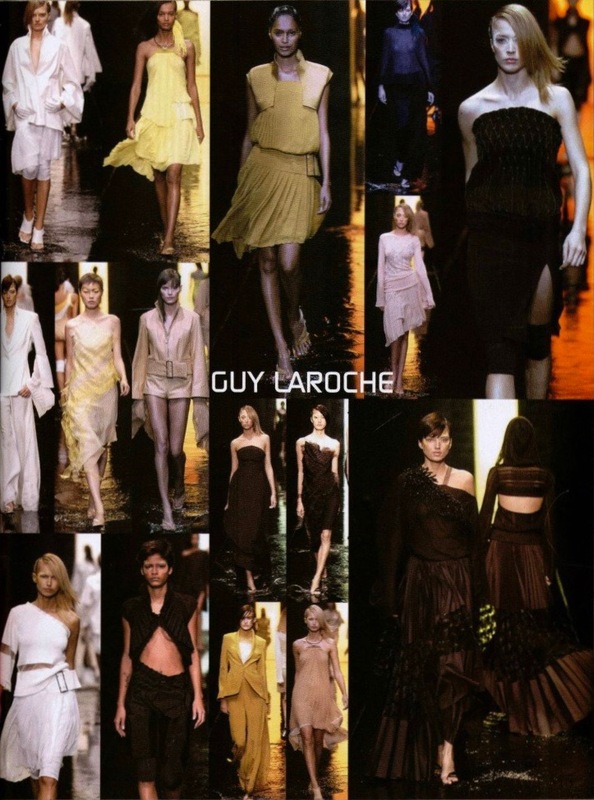 Vogue 2668 by Mei Xiao Zhou for Guy Laroche (2002) Image: Etsy. Vogue 2689 by Mei Xiao Zhou for Guy Laroche (2002) Image: PatternVault on Etsy. Guy Laroche, L’Officiel, October 2001. Model: Mariacarla Boscono. Photo: Nicolas Hidiroglou. Editor: Jennifer Eymère. Image: jalougallery.com. Guy Laroche Spring 2002 collection by Mei Xiao Zhou in L’Officiel 1000 modèles. Image: jalougallery.com. A look from Mei Xiao Zhou’s Spring 2002 collection for Guy Laroche. Model: Raquel Zimmerman. Image: livingly. Guy Laroche advertising campaign, Spring 2002. 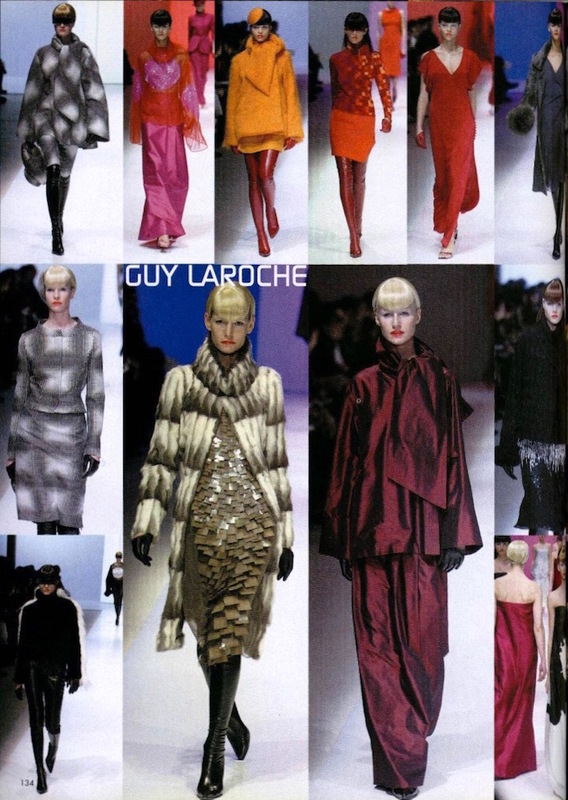 Vogue 2752 by Mei Xiao Zhou for Guy Laroche (2002) Image: PatternVault shop. 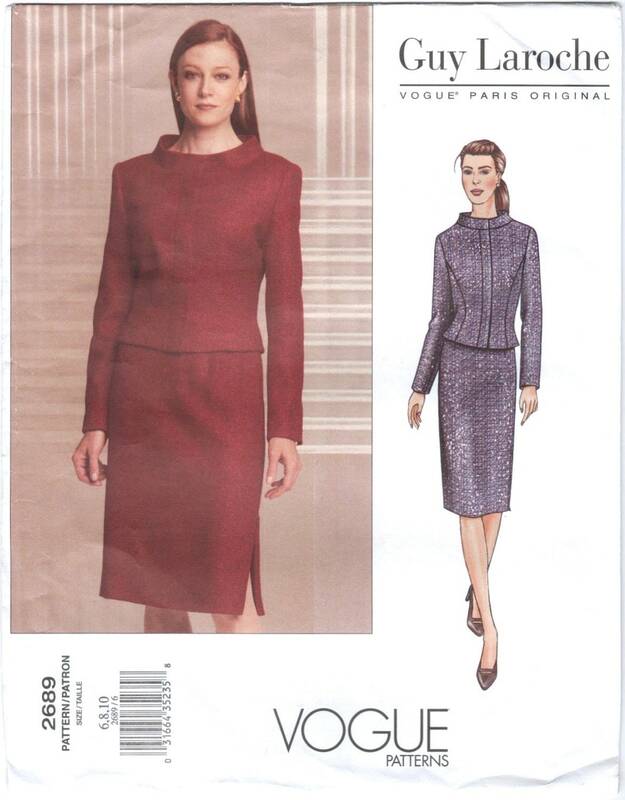 Vogue 2736 by Guy Laroche (2003) Image: Etsy. Mei Xiao Zhou brought the verve of Mugler to his runway shows for Laroche. 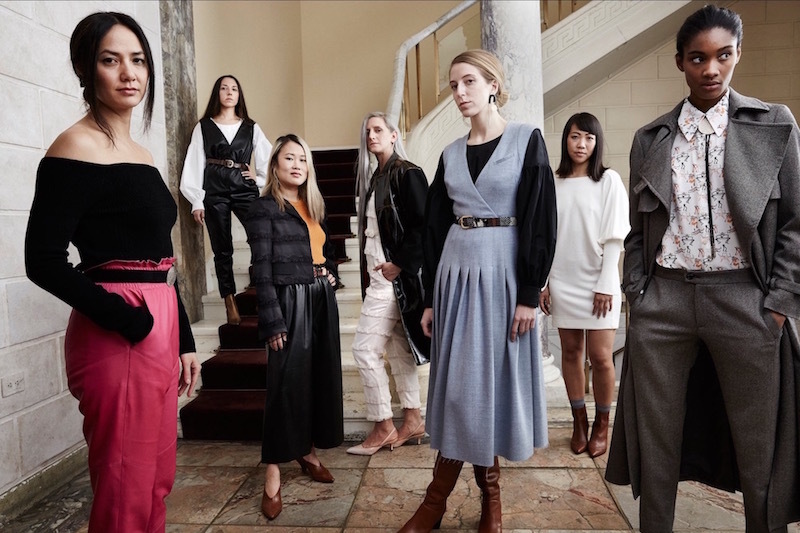 Although his first collection was well received, the house was sold to a new parent company, which hired a new designer for Fall 2002 (Laetitia Hecht). Like other designer patterns of this period, Zhou’s Laroche patterns highlight the widening gulf between catwalk and sewing-editorial styling—which is ultimately the gulf between the fashion and home sewing industries. 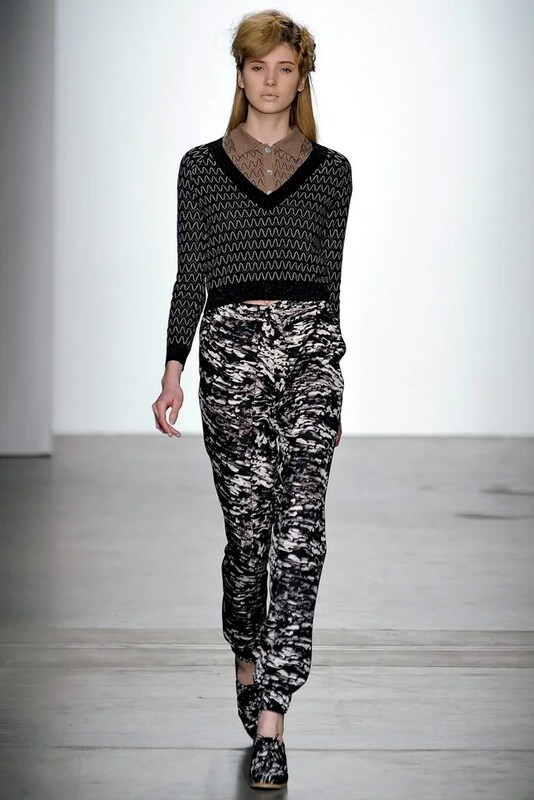 Rachel Comey’s Bowtie top and Expedition printed trousers, Spring 2015 collection. Image: Instagram. Last month, Rachel Comey celebrated her label’s 15-year anniversary with an outdoor presentation of unisex looks for Spring 2017. 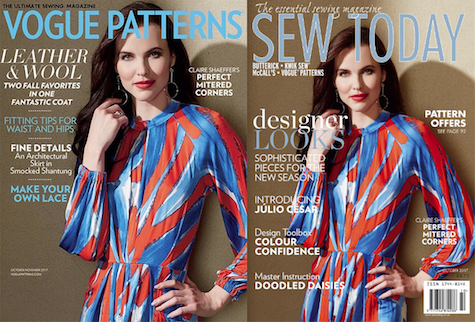 For home sewers, Comey’s ongoing licensing with Vogue Patterns has made her one to watch. Here’s a look at highlights of her patterns so far. 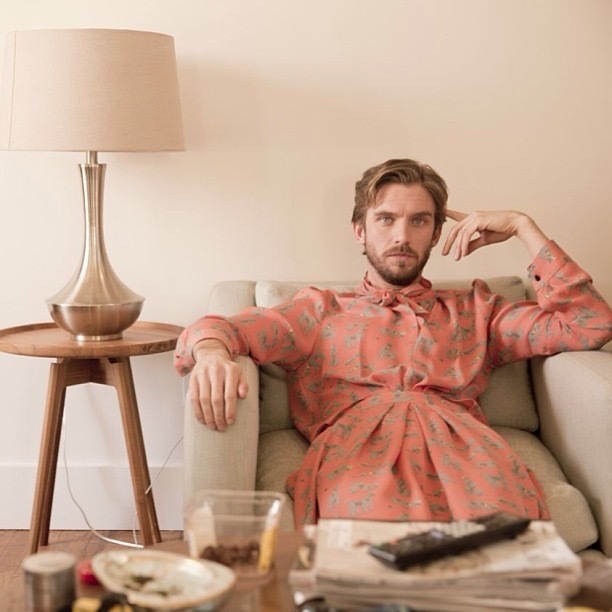 Dan Stevens in Rachel Comey’s Pierrot dress, High Maintenance, Season 1 (2014) Image: Instagram. Courtney Love wears a men’s lipstick print shirt by Rachel Comey, The Face, April 2002. Photo: Jean-Baptiste Mondino. Image: eBay. Rachel Comey’s Stoneware print, inspired by Lena Beug’s ceramics. Image: Instagram. “Cutting edge: Rachel Comey,” Vogue Patterns, February/March 2010. Vogue 1170 by Rachel Comey, Vogue Patterns, February/March 2010. The originals showcase Comey’s leopard and man-with-umbrella prints, both from the Fall 2009 collection. A leopard-print dress from Rachel Comey’s Fall 2009 collection. Model: Timoxa Timoschenko. Image: vogue.com. 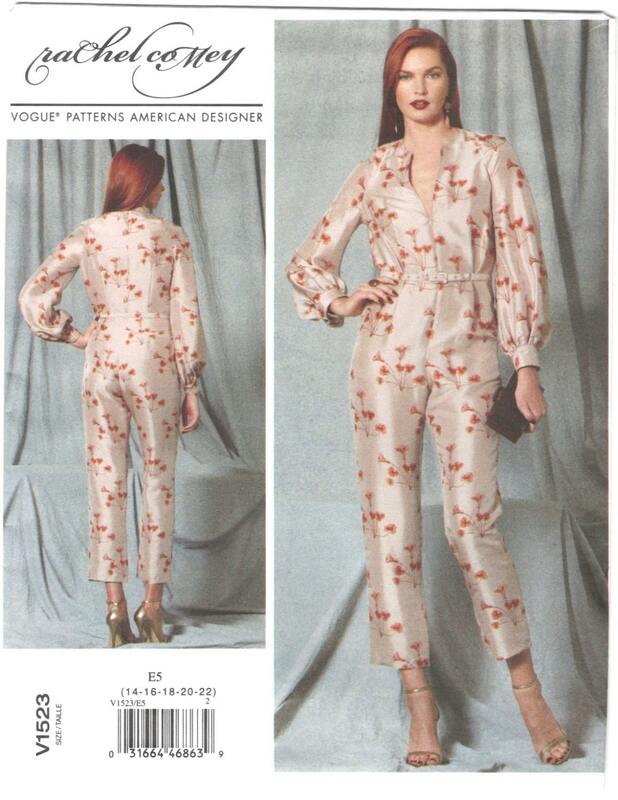 Vogue 1247 by Rachel Comey (2011) Image: PatternVault shop. 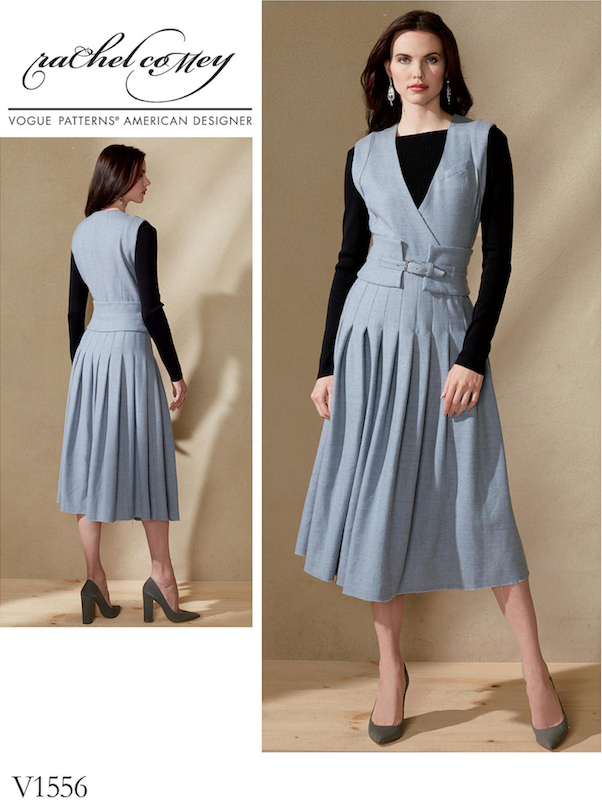 Vogue 1298 by Rachel Comey (2012) Tippet dress. 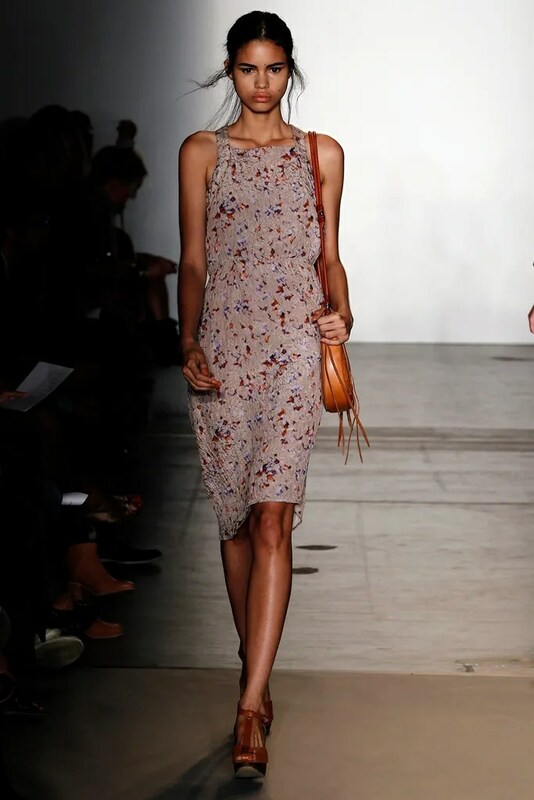 Rachel Comey’s Tippet dress on the Spring 2011 runway. Model: Mariana Santana. Image: vogue.com. Vogue 1323 by Rachel Comey (2012) Image: Etsy. Rachel Comey’s Saunter pant, Black Wood silk-wool print, Fall 2011 collection. Model: Alexandra Tretter. Image: vogue.com. Rachel Comey’s Saunter pant in semi-sheer, textured velvet, Fall 2011 collection. Model: Bianca Luz. Image: vogue.com. 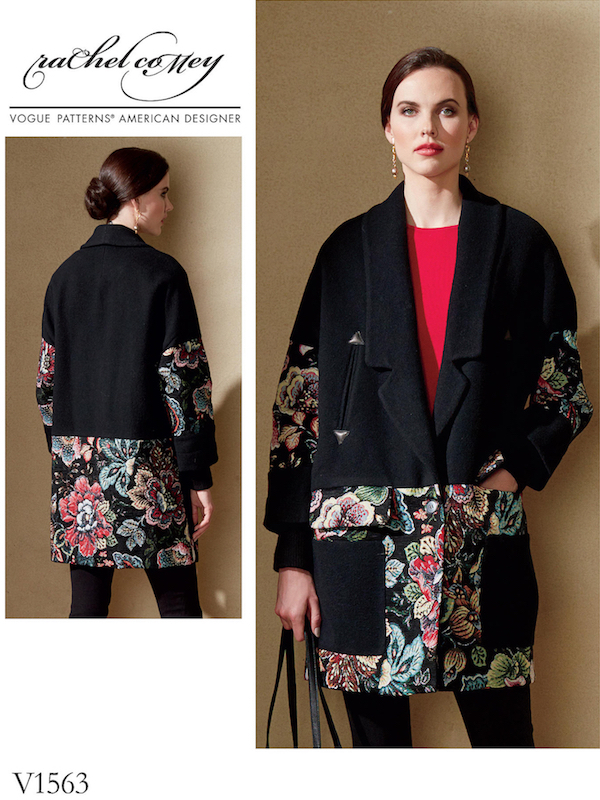 Vogue 1406 by Rachel Comey (2014) Image: eBay. Vogue 1482 by Rachel Comey (2016) Image: PatternVault shop. Rachel Comey’s Wades dress, Spring 2015 collection. Image: vogue.com. Vogue 1507 by Rachel Comey (2015) Image: Etsy. 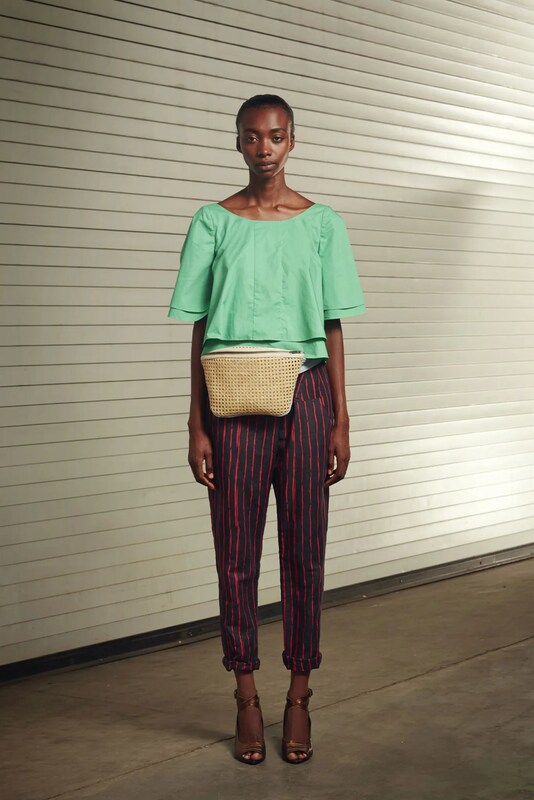 Rachel Comey’s Bowtie top and Expedition pants, Spring 2015 collection. Image: vogue.com. Vogue 1501 by Rachel Comey (2016) Image: PatternVault shop. 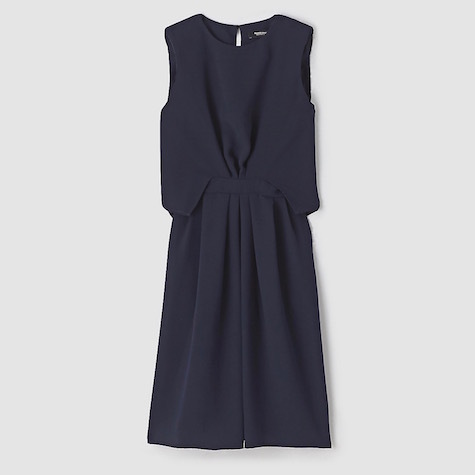 Navy Delane dress by Rachel Comey. 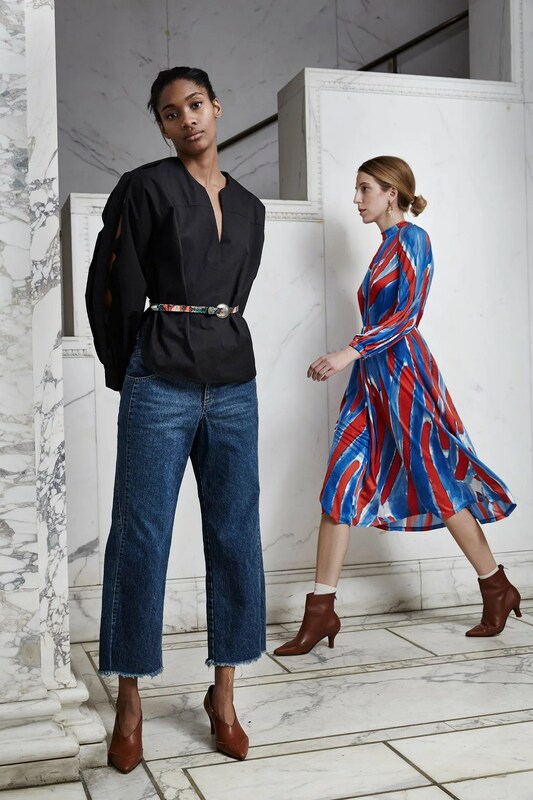 Vogue 1523 by Rachel Comey (2016) Image: PatternVault shop. 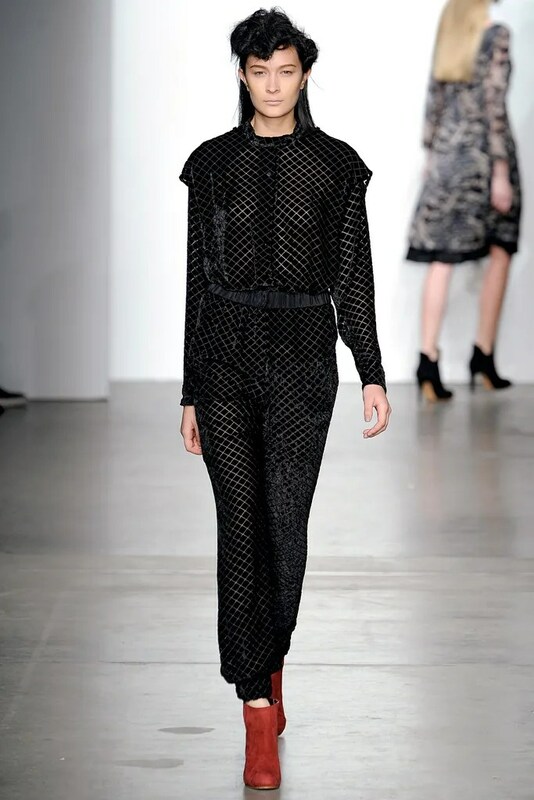 Rachel Comey Silt jumpsuit, Fall 2015 collection. Image: vogue.com. Artist and activist Sarah Sophie Flicker wears Rachel Comey’s Surveillance dress at the White House, 2015. Image: Instagram. Goodbye Donna Karan, Hello Urban Zen? July 6, 2016 July 7, 2016 by Sarah Sheehan8 Comments on Goodbye Donna Karan, Hello Urban Zen? Ingrid Sischy, Donna Karan New York (Assouline 2005) Image via Pinterest. 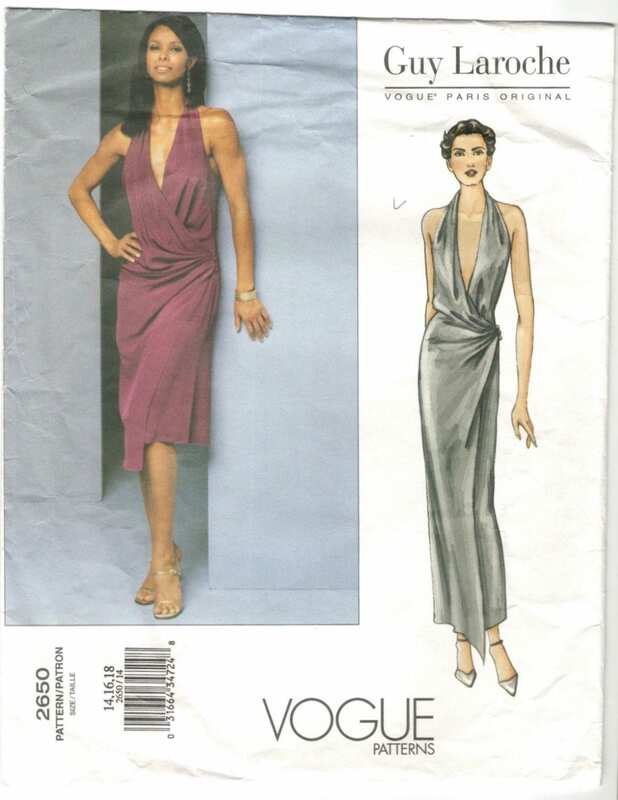 Vogue Patterns has been publishing Donna Karan patterns since 1987. The company added DKNY patterns in 1989. 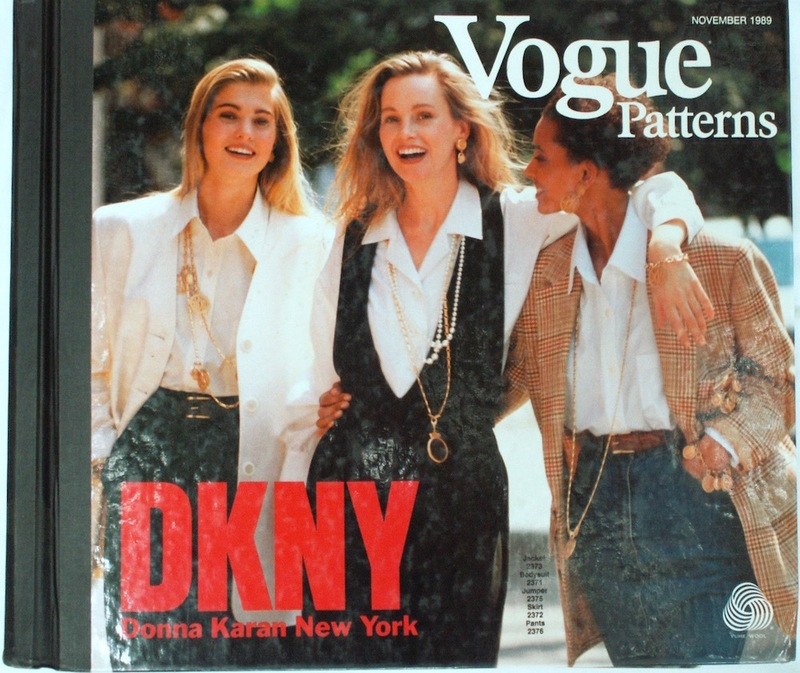 Donna Karan patterns on the cover of Vogue Patterns magazine, Autumn 1987. Image via eBay. 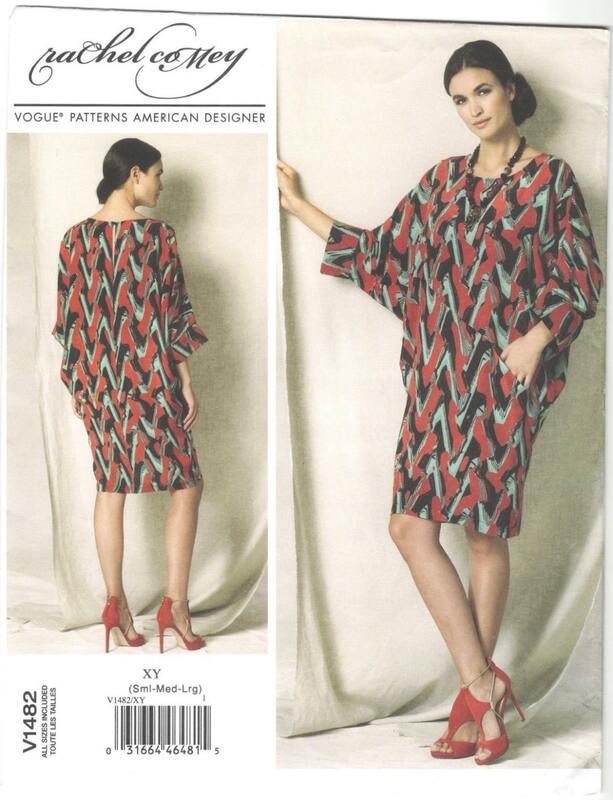 DKNY patterns on the Vogue Patterns catalogue cover, November 1989. Image via eBay. 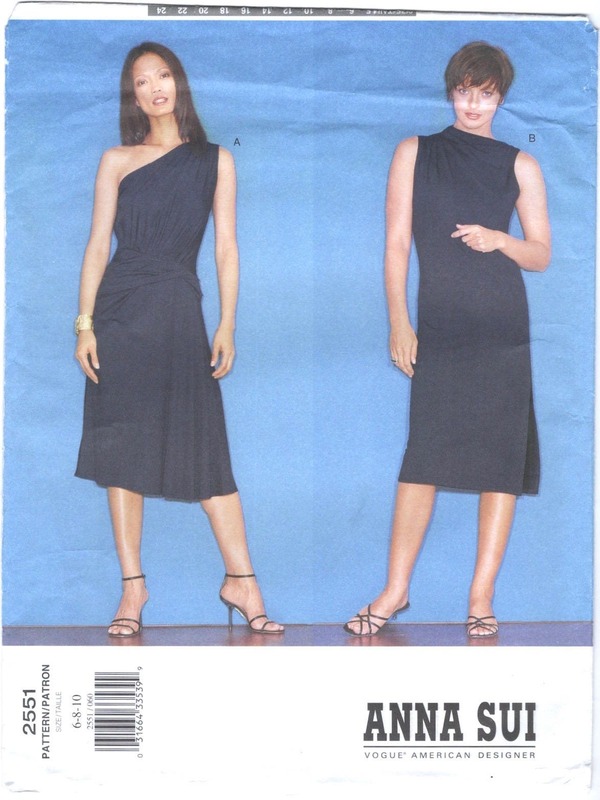 The end of both licenses makes the Spring 2016 releases the last DKNY and Donna Karan patterns. Vogue 1488 by DKNY is based on a dress from the Pre-Fall 2013 collection. Image: vogue.com. The original for Vogue 1489 in Donna Karan’s Spring 2014 collection. Model: Kati Nescher. Image: vogue.com. After thirty years of Vogue patterns—closer to forty, if we count her work at Anne Klein—Karan’s absence will be keenly felt. But could she return soon with Urban Zen patterns? Under her agreement with LVMH, Urban Zen’s “distribution … [can]not compete with any of the Donna Karan brands.” (See Donna Fenn’s interview for Fortune.) This could account for the unprecedented end-date for the Donna Karan and DKNY patterns, just in time for the Fall 2016 pattern launch. Update (July 7): the Fall 2016 patterns were released today, too early to avoid a distribution conflict. Perhaps for Winter 2016? Urban Zen, Modern Souls collection. Image: Urban Zen.